Fremont Christian School offers a wide variety of fine arts. Students can participate in art classes, theatre, choral music, and band. 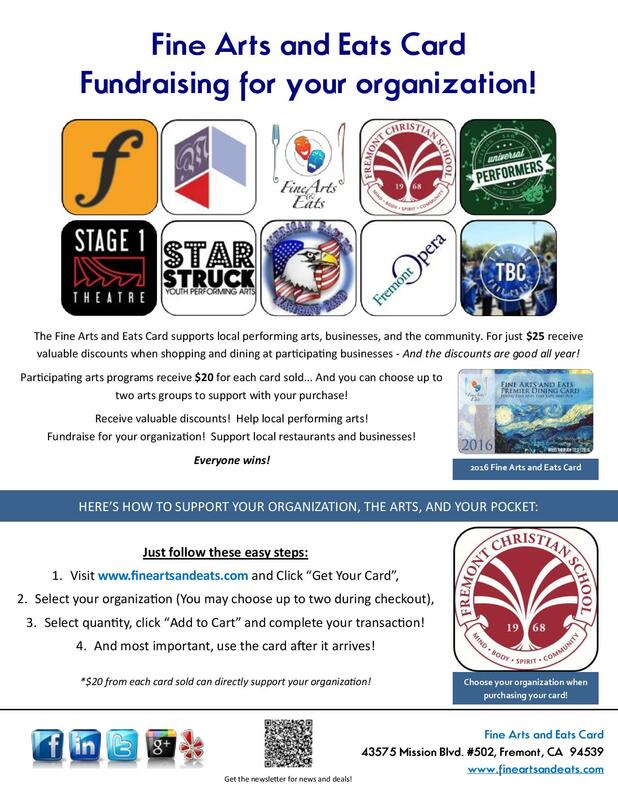 Support our fine arts programs with a Fine Arts & Eat card. Check out the official flier. Access the Fine Arts & Eats website for more information! TICKETS ON SALE APRIL 29! Retirement reception immediately following the concert at the Sherry Miller Employee Plaza. All are welcome to join us for refreshments in honor of Mr. Guzman's time with FCS. Featuring: FCS Concert Choir, FCS Living Water Vocal Ensemble, Centerian Sanctuary Choir, Centerian Vocal Ensemble from Centerville Presbyterian Church, Centerville Community Chorale, & Festival Orchestra. Tickets: Tickets are available at $10 each and can be purchased from Centerville Presbyterian Church Office, Fremont Christian School - Secondary Office (Call for availability at 510.744.2280), or at the door. Gift: A few people have asked about gift ideas for Mr. Guzman. If you feel so inclined to provide a parting gift, he has politely requested gift cards to Lowe's Home Improvement. The next project for him and his wife will be working on their house and Lowe's is the closest store to their new home. We are so appreciative of Mr. Guzman's 36 years dedicated to FCS and we all wish him well into this next stage of life. Please come support his final concert and say farewell. 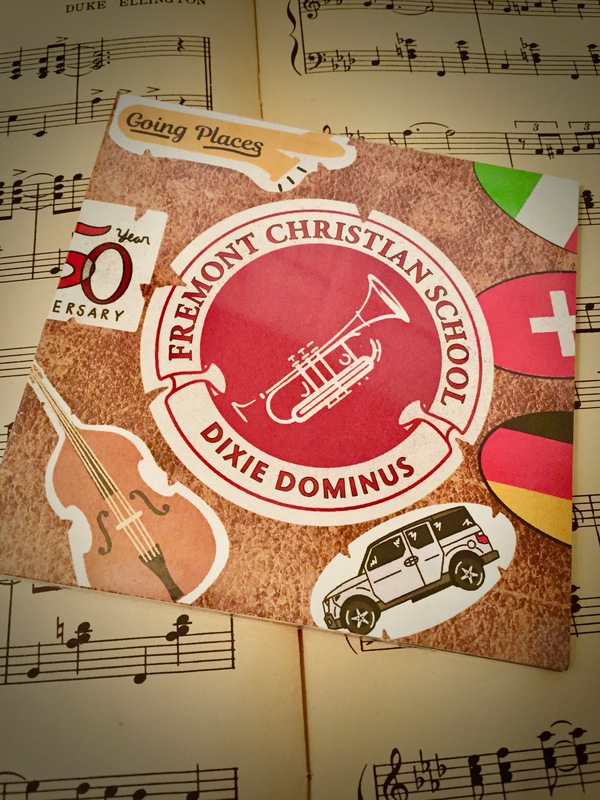 We are very happy to share that our 2019 Dixie Dominus CD! This group has been working very hard on producing it. Contact 510.744.2280 for more information on how to purchase.